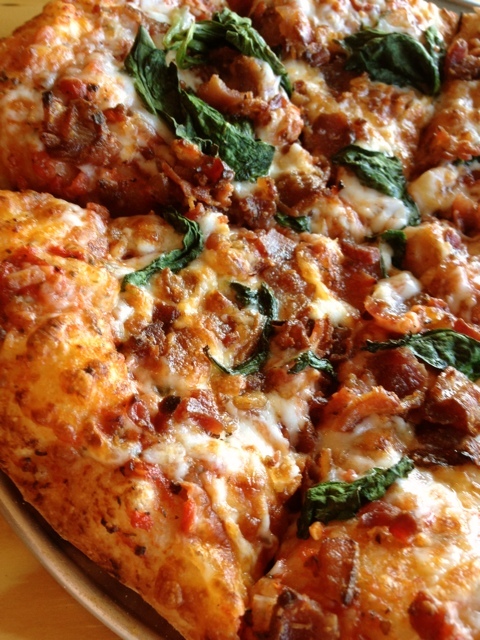 Skip the same ol’ pizza delivery and head to this delightful pizza parlor and brew pub combo. The pizza is really good so you don’t sacrifice taste for ambiance and beer. As a bonus they have wi-fi so if you really need to work while you eat you can, but I’d suggest you let the work wait and bring a few friends instead. Price: Expect to spend $12 – $15; the lunch special is $9.50. Pinthouse Pizza is a lovely surprise about 15 minutes outside of downtown. While they are clearly very much into the on-site micro brewery and their significant selection of beer on tap, they don’t loose sight of the quality of their food or the overall dining experience. As their name implies, their menu is all about the pizza. 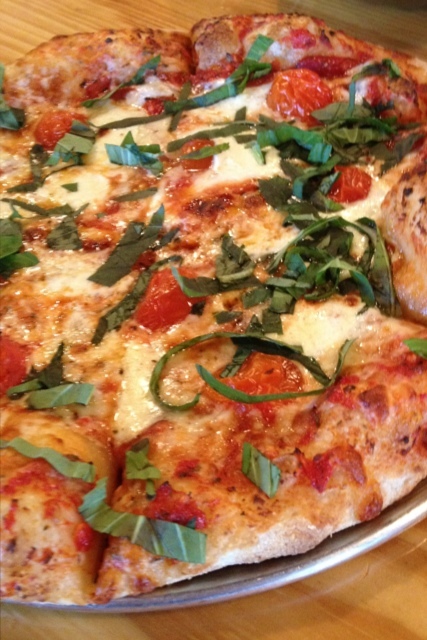 The more traditional pies include the Classic Cheese, Hawaiian, and the Margherita (see below). They do have some fun with their pies, though. 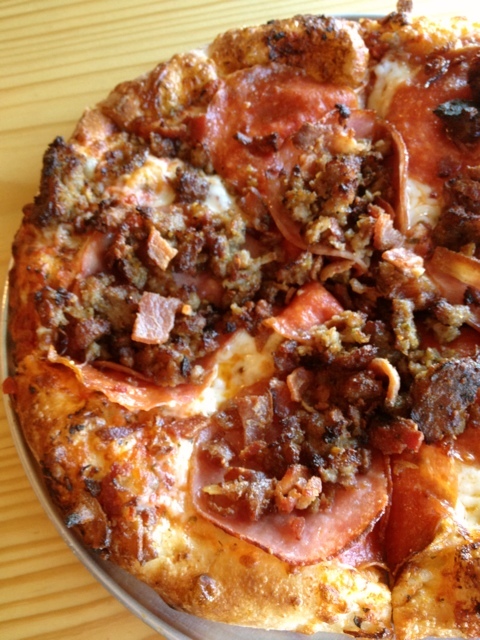 The meat-lover’s Cannonball is loaded down with with sausage, bacon, pepperoni, and canadian bacon. As Michelle at Foodie is the New Forty says about this pizza, the name should be shouted! Or, if you like pork well enough but want a few veggies with your bacon, the Hill Country adds spinach and mushrooms so you can feel a little wholesome about your pie consumption. And if you’re feeling extra special, or just want to experiment with your own toppings, you can construct your own pizza from all of their available toppings. Go ahead – make their day with your crazy topping combo. A small pizza is just the right size for one person (possibly with some leftover if you’re able to show some restraint). Pinthouse has a great lunch special too. Get any small pizza and they’ll throw in a salad and a drink for just $9.50. Their salads aren’t lame, mushy piles of brown greens either. 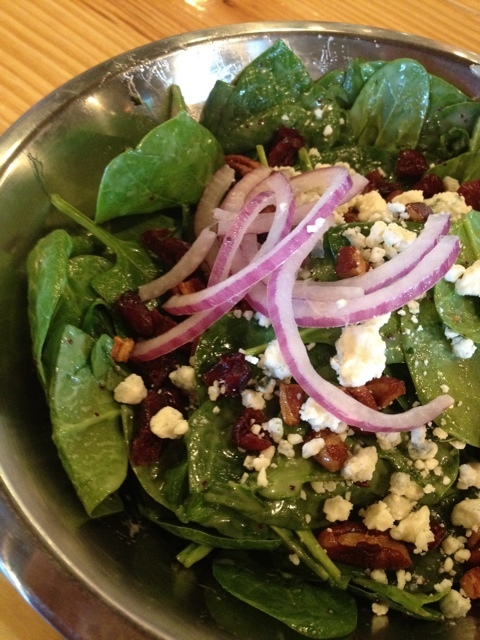 The Pinthouse salad mixes baby spinach, dried cranberries, red onions, blue cheese, and candied pecans for a sweet, tangy, and crunchy combo. 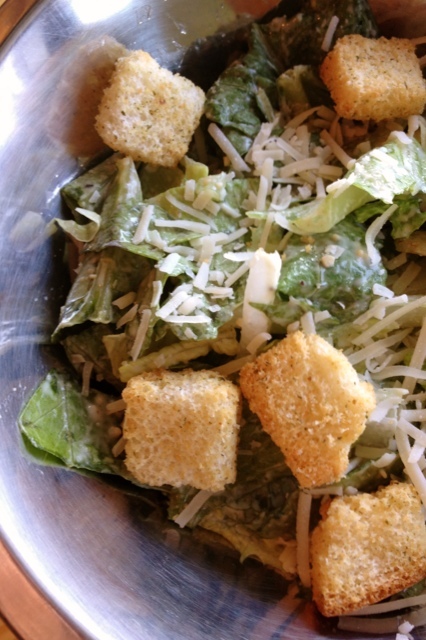 Or you can channel your inner Roman and go with a crunchy Cesar salad. I’m pretty sure that if you ordered one lunch special plus a second salad two people could have a very satisfying meal. I haven’t tried this myself yet though because I’ve almost immediately devoured each pizza I’ve had thus far. If anyone tried to take a piece, even if I was in theory sharing it with them, they’d risk loosing a limb. Oh, and you can upgrade the drink that comes with the lunch special to a beer. But because this is a post about lunch, let’s just keep that tidbit of information between us. 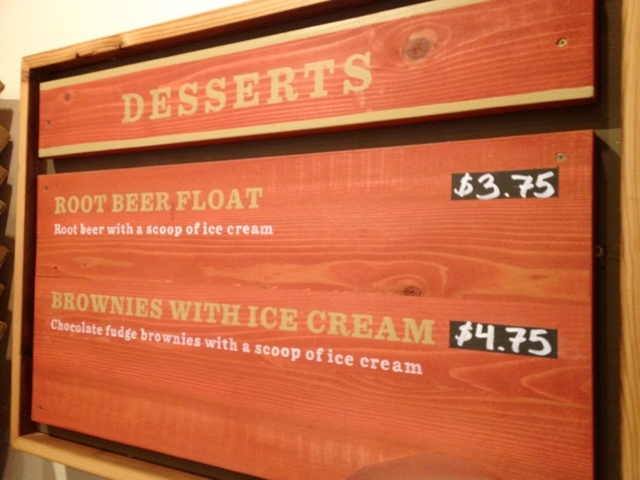 If you’re not full enough after your pizza, salad, and beer (oh wait – soda), you can always treat yourself to a root beer float or a brownie with ice cream for dessert. You’re already treating yourself to lunch out, why shouldn’t you do it up right? While pizza purists will not consider this pizza the end-all, be-all pizza in Austin, it’s good and much better than the stuff you have delivered to your office. The space is great and there’s the beer factor, making Pinthouse a nice option for a casual lunch out with the crew. I couldn’t agree more with the very last paragraph. That sums it up perfectly. Great recap and pictures! Great post! Thanks for the shout-out!